CLEANSE - I typically use a bar of black soap, or regular black soap from Nigeria. I must admit that sometimes I find it a little bit drying. EXFOLIATE - I exfoliate and remove dead skin cells using a soft facial brush and a facial scrub. MASK - I haven't tried the popular new sheet masks, so I still use old school masks in my routine. TONE - Even though Micellar water is described as a cleanser, I still use one in this step, followed by an actual toner. This helps to ensure that all traces of dirt or makeup is gone. MOISTURIZE - I moisturize using two or more facial oils, serums and face creams. This helps my skin stay supple, and prevents dryness. 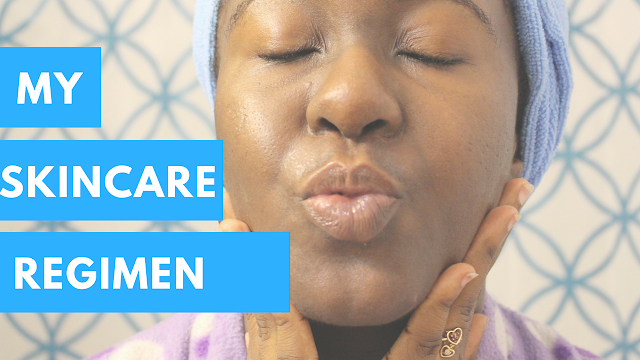 To see more of my skincare routine in action, check out my latest video above. Don't forget to subscribe to my Youtube channel!